Beijing, Jan. 15: The Prime Minister, Dr. Manmohan Singh, today said that extremism of all types, whether in the garb of religion or on the pretext of righting historical wrongs, posed the greatest danger to Sino-Indian economic and social development. Favouring a collective fight against terrorism while revealing his vision for future Sino-Indian ties, Dr. Singh said the recent violent developments in India's neighbourhood have brought home the imperative need for such a step. The rise of non-state actors, often based on intolerance and narrow conceptions of identity, is a threat to all civilised nations," the Prime Minister said. 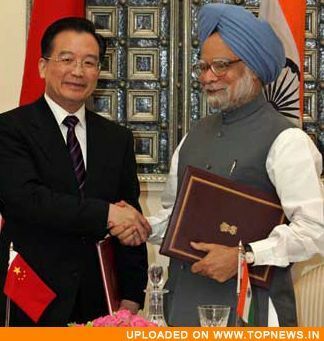 Singh, who was speaking at the Chinese Academy of Social Sciences here, said that the responsibility for developing bilateral relations further was a shared one in which both governments had a role to play.